Perhaps because we’re Americans, we tend to revere Browning’s spawn, and for good reason. What other century plus design is still popular? And what other military has spent millions of dollars to fail to beat a machine gun design that’s nearly 100 years old? The Germans, I think, are the other greats of gun design. The entire assault rifle, or Sturmgewehr concept is their own invention, and only copied by others. Additionally, I think the Germans are responsible for the most influential maschinengewehr designs of modern times, having had aspects of it borrowed or outright stolen for the variants of the MG42 still in use around the world today. Even the M60, still in limited service with the US Armed Forces is partly derived from the MG42, along with the FG 42. I have great respect for Browning’s designs, but it’s hard not to acknowledge the Germans have made stellar contributions to modern firearms technology. Variants and copies of the Mauser bolt action are STILL with us to this day. Another German design. Don’t forget the Mauser brothers on the German side…there really isn’t much in the way of bolt action rifles that doesn’t owe a HUGE debt to their work. To add to what was written above, let’s not forget that the US was forced to pay royalties and damages to MauserWerk for patent infringements in the design of the Springfield 1903 rifle. Only for the method of loading via stripper clips, much of the rest of the action of the rifle is derived from the preceding Krag-Jorgensen mixed with influences of various other rifles aside from the Mauser which itself was not the innovative aside from its stripper clip loading system. Mauser is great. But consider the depth of Browning’s work: The Model 94 Winchester is still in production nearly 120 years after he designed it. Almost all semi-automatic handguns use the tilt-barrel locking he invented. His 1911 is still revered by many, and the design is widely copied and in mass production more than 100 years after it was introduced. He invented the semi-automatic shotgun. 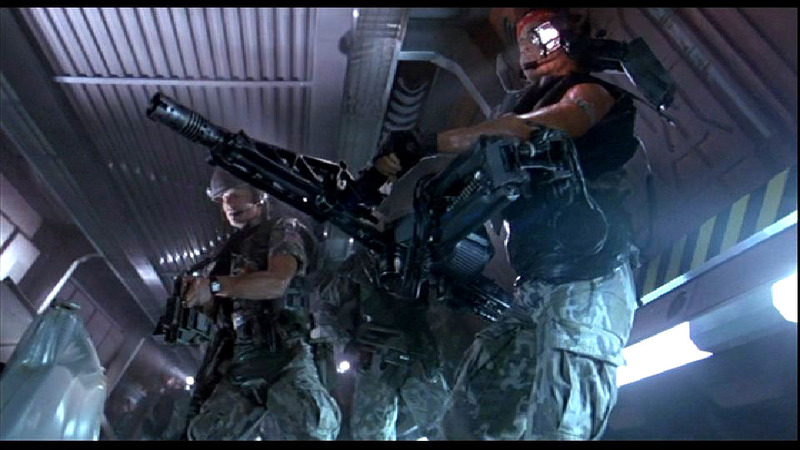 The military still uses his M2 heavy machine gun, and that design is edging on 100 years old now. I don’t think any other firearm designer can lay claim to both the popularity *AND* the diversity of design that Browning’s work encompasses. Everyone else looks like a one-trick pony in comparison. I’m just amazed that there is really no difference between modern firearms and the brand spanking new invented ones at the turn of the century. I mean we are using the same action types, the same firing systems, same trigger systems, same everything really. The only difference is polymers and plastics. I wonder how Mauser or Browning or Colt or, well anyone of the main inventors would feel that modern guns are made out of plastic these days instead of metal and wood. Would they like it? What I’d love to see is Eli Whitney, Colt, John Moses Browning in Ruger’s factory and what they’d come up with after 4 years. Then why has New Jersey banned the M-1 Carbine as an “assault rifle”, developed several years before the Sturmgewehr? Just watched the Triggers episode about the LAW…and one of the things they compared it to was the MG-42. I told my son, in many ways the MG-42 is still a better light MG than anything out there today. Triggers downed the MG-42 because “it took a 5 soldier team” to operate it…completely not getting that was the German squad strategy in WW2. The MG-42 was the offensive/defensive weapon. 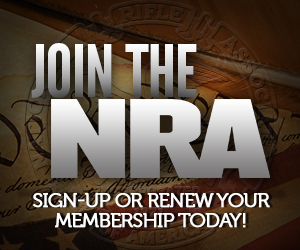 The riflemen were there as protection…and to carry extra ammo. The heritage of the MG42 in US small arms is not limited to the M60. The M240, which was originally the Belgian FN MAG 58, combines the MG42’s feed mechanism with the operating system of the BAR: the perfect fusion of teutonic engineering with John Mose Browning’s genius. And it only takes one man to carry and fire the ’42. There were two other personnel assigned to it in the German squad: an assistant gunner (who actually directed its fire, as well as carrying a box of ammo), and an ammo bearer, who carried between two and five spare boxes (three in a special backpack frame). The MG-42 thing made me wonder a wonder. Why hasn’t someone made a roller-locking upper for an AR? 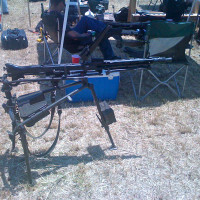 I have seen an AR-15 (M-16 really) modified to be belt fed. It was like 20+ years ago, but only got made as a test bed, and at the time the SAW was making huge inroads. Overall the SAW is an outstanding light MG – it makes just 1 guy (or 2-3 if you want to count the 2 riflemen who carry extra ammo) into a buzzsaw. The compact version of the saw is deadly. While it lacks the “reach out” range of the full size SAW, inside 500 meters it’s a lawn mower. A tad biased on your personal heritage there Sebastian? Granted, I am Italian so I’ll laud the Fabbrica d’Armi Pietro Beretta – the gun company founded in 1526. With all this talk about influential inventors how about James Paris Lee who invented the box magazine. The original magazine went along with his Lee rifle, a gun that finally evolved into the Lee Enfield. Regardless of the merits of that rifle, Lee’s real contribution was that magazine, that ended up in Mauser’s rifles and pistols, Borchardt’s and Luger’s and Browning’s pistols.